Christians heading to the UK to study – exploring the challenges and opportunities of studying in the UK for Christians and getting in touch with good gospel churches and student ministries. Christians currently studying in the UK – encouraging you to live for the gospel as Christian students and getting you to think about how you can make the most of your student days in the UK. Christians returning to Singapore – examining the issues that come with returning to work in a fast-paced, work-obsessed culture. How do we cope with these challenges? What does it mean to live for the gospel in a society like Singapore? How should we think about choosing a job, or choosing a church? • Two Bible talks on Daniel, titled "Sojourn: Life away from home"
Looking for a church in Singapore? Looking for a church in the UK? By submitting this information to Project Timothy, I agree and consent to Project Timothy collecting, using, disclosing and sharing the personal data I have submitted, in order to plan and run the Impact UK Conference. We will collect, use and disclose your personal data in accordance with the Personal Data Protection Act 2012. 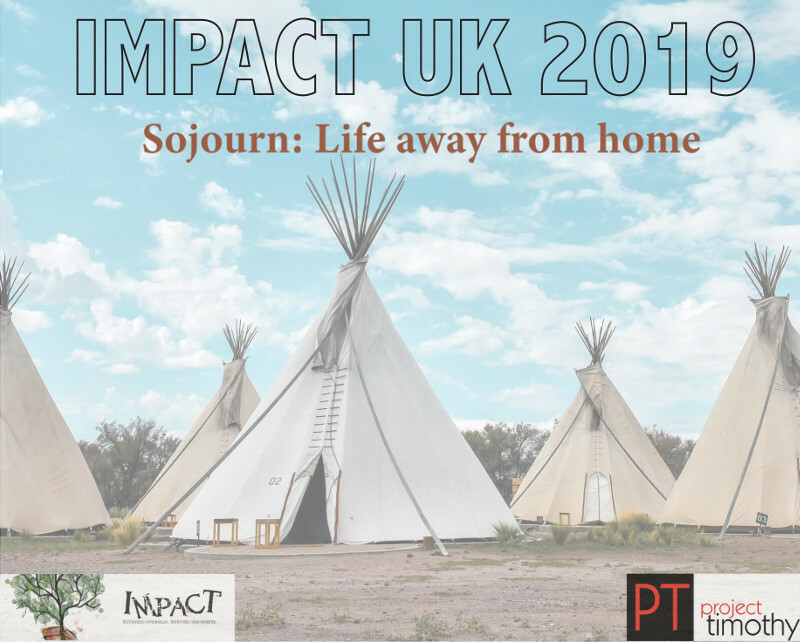 Should you wish at any time to withdraw your consent for the collection, use and/or disclosure of your personal data after submitting this form, please contact us at sg.impactuk@gmail.com.